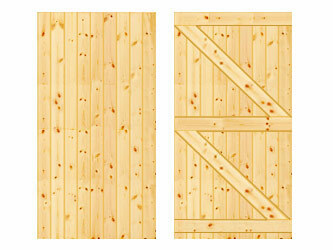 Premier Sheds' planed-all-round (aka PAR) Tongue & Groove Gates are high-quality products suitable for front and side entrance use. All supporting cross framing is 19 mm x 95 mm and clad with a 19 mm x 95 mm ‘V'-jointed Tongue & Groove PAR timber which can be painted. Can be used as single or double gates. Recommended Gate Post size is 4" x 4". For post height use 2 ft more than the height of the gate to permit foundations.